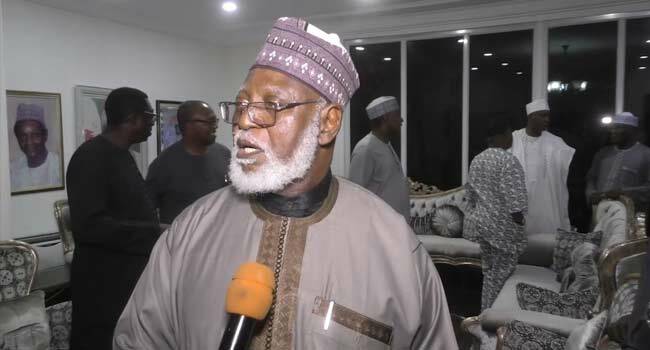 The National Peace Committee, led by former Head of State, General Abdulsalami Abubakar, has begun moves to douse what the committee has described as rising tension in the country. This comes two days after the Independent National Electoral Commission (INEC) announced Muhammadu Buhari as the winner of the presidential election which held on Saturday, February 23, 2019. Buhari’s major challenger in the race, the candidate of the Peoples Democratic Party, Atiku Abubakar, has disagreed with the result as announced by the INEC Chairman, Prof. Mahmood Yakubu, vowing to challenge it. The PDP is accusing the ruling party of manipulating the outcome of the election, through suppression of the party’s votes, intimidation, rigging and other electoral infractions. The APC has, however, denied the allegations, describing the PDP as a bad loser and promising to meet Atiku in court. As part of that move towards resolving the dispute, the National Peace Committee has met with PDP flag bearer, as well as other leaders of the party in Abuja, including the vice presidential candidate, Peter Obi; PDP National Chairman, Uche Secondus; Senate President, Bukola Saraki; and Speaker of the House of Representatives, Yakubu Dogara. Speaking with journalists after the meeting, which took place at the residence of the PDP Presidential candidate, Gen. Abubakar said his committee decided to address the disagreement, given its mission to always ensure that there is peace in the country. “Currently now, tensions are high and we need to see how we can douse the situation. We have come to listen to the grievances from the PDP. We will continue shuttling to see how we can make sure that the peace is maintained,” he said. Other members of the committee present at the meeting which was held behind closed doors were the Bishop of Sokoto Catholic Diocese, Matthew Kukah and the Archbishop of Abuja, John Cardinal Onaiyekan.